Are you aged 16-19? The Youth Guarantee Scheme provides the chance to study for free for up to two years, and can support you with transport and pastoral care. Are you looking to enter the hospitality industry? This programme will give you the entry-level hospitality skills required for a range of basic positions, as well as supporting future study and career opportunities in the hospitality industry. Meet basic health and safety requirements in a hospitality workplace. Apply appropriate basic skills associated with one or more entry level roles in the hospitality industry. Demonstrate basic communication, teamwork, problem solving and self-management skills in relation to hospitality work. 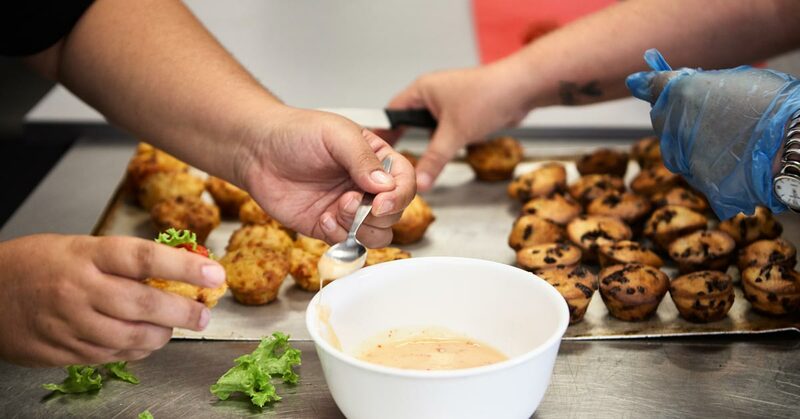 This qualification can lead on to the New Zealand Certificate in Cookery (Level 3), or the New Zealand Certificate in Food and Beverage Service (Level 3). Aim: To be able to work safely, effectively and hygienically in a commercial kitchen. Aim: To be able to prepare, cook and present a basic range of food dishes and describe different methods of cooking. Aim: To be able to perform foundation front of house tasks in a commercial hospitality environment and provide effective customer service. Aim: To be able to demonstrate basic communication, team work and problem solving skills in a hospitality environment. be physically able to complete the programme-specific outcomes. I loved the atmosphere here, and getting to make the coffee in the café – complete with perks. Fun food, fancy name - but a serious message. That’s the idea behind the ‘sticky pulled wild pork hawker roll’ – this year’s wild food treat to be given away by the Northland Regional Council (NRC) to attract visitors to its marquee at the upcoming February 28-March 02 Northland Field Days. NorthTec’s Apprentice Restaurant recently hosted the wedding of two of the institute’s own hospitality graduates.